NOTE: Beginning January 1, 2019 a $50.00 landing/ramp fee will be charged for aircraft with a GTOW of 6,000 lbs. and over. Fee will be waived with minimum 50 gallon fuel purchase. Service Oriented Aviation Readiness (S.O.A.R.) 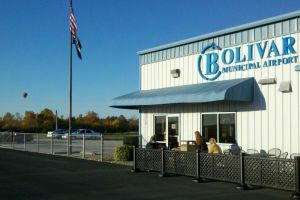 a 501(c)(3), Missouri Non-Profit Corporation, is located in Bolivar, MO at the Bolivar Municipal Airport (M17). The primary purpose of S.O.A.R. is the training and education of aviation mechanics and pilots for mission aviation. Through its curriculum, programs, and supervised-experience training, students are prepared and qualified for the progression of testing and certifications. A distinctive attribute of S.O.A.R. is that the organization leverages an energized local pilot population and community engaged at a municipal airport to help our students continue a “pay-it-forward” philosophy through which many of the previous generation of pilots were taught to fly. is to provide the tenants, visitors, and customers of the Bolivar Municipal Airport a great environment to enjoy general and/or corporate aviation with all the necessary services, while providing a great working environment for our students who are getting the required education, training, and experience to serve in full-time missions as a mission pilot and/or mechanic. S.O.A.R. serves as the FBO for the City of Bolivar - offering all of the standard services you would expect at a municipal airport including, but not limited to, aircraft maintenance, aircraft rental and flight instruction. Also, through our great partnership with the City, we provide additional services including 24 hour self-service fuel, courtesy cars and overnight hangars.